4" high; adjustable 1 3/4"
This All Points 26-1951 4" equipment leg is a perfect fit for the one that came with your compatible equipment. 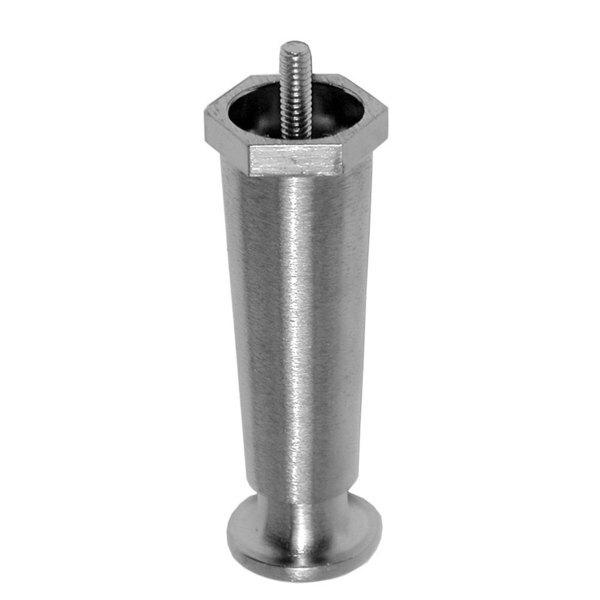 It features a stud-mount design that screws right into the mounting hole on the bottom of the unit, making it easy to remove the old leg and replace with a new one. It also features an adjustable height so you can make it absolutely level and prevent wobbling. Southbend 1178486 Legs Rear 4"